Metallic prints show their best when properly lit. 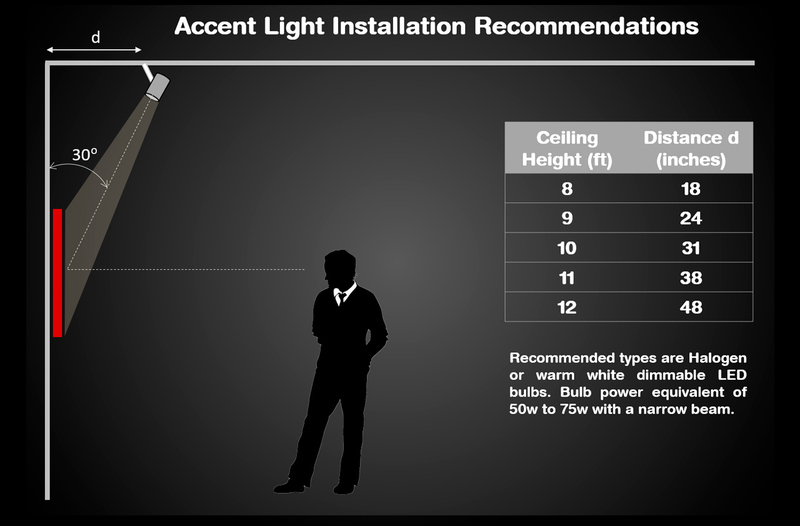 Some factors to keep in mind when designing your lighting arrangement. Number one - the light source shoud be set up at an angle that it doesnt reflect directly into the eye of a viewer. If there is an overhead light fixture, perfect! 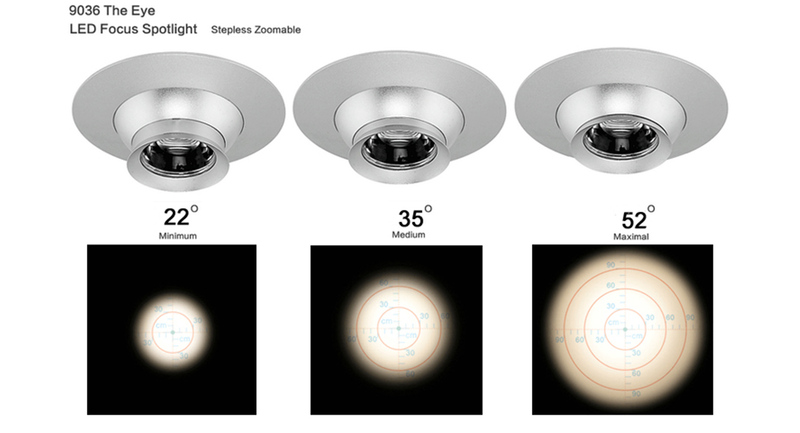 A tracklight is the best as it would allow you to simply point the head toward the picture and this is it!. Recessed light is the second best option. Normal pot lights are stationery and can't be pointed. But those are easily replaceable witht the swivel type. 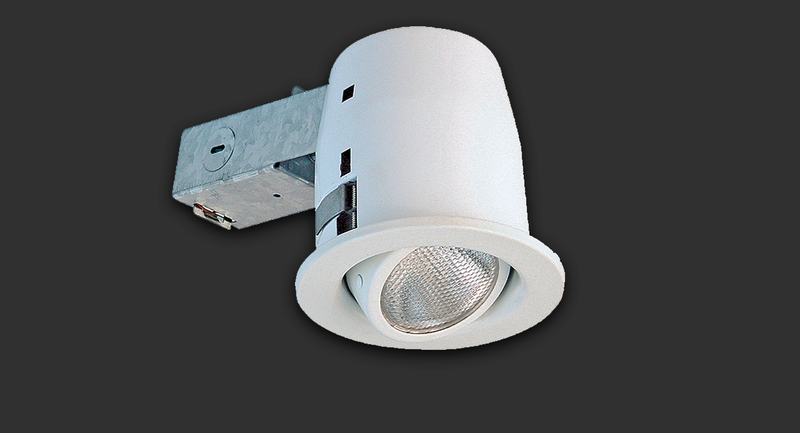 For rooms with lower ceilings - 8 to 9 feet you can use stangdanrd halogen heads. The relatively wide beam won't spread too far before reaching the picture. Here is a short video illustrating how easy it is to retrofit your existing can lights to aimeable type. If you'd like a better control over your lighting scene and make sure that 100% of the light spot is focused on the picture with minimum spill-over your best bet is to use focuseable LED swivel lights. 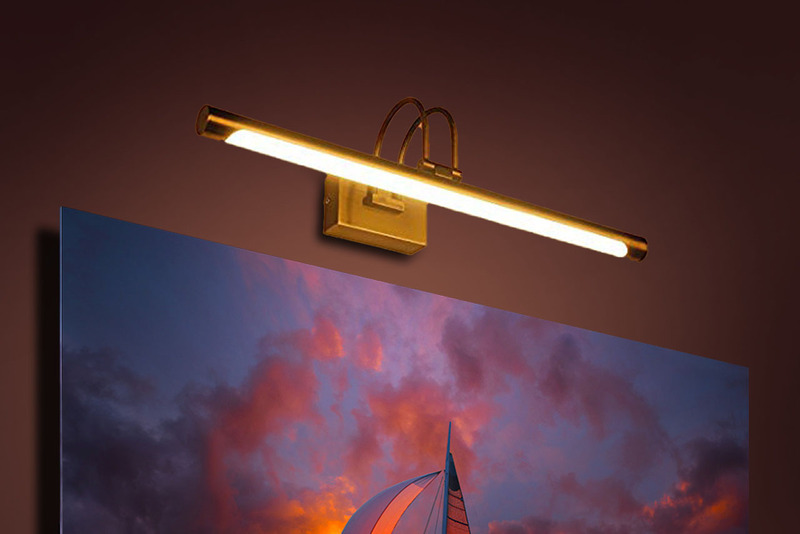 Those are usually more expensive than traditional light bulbs but they totally worth it. 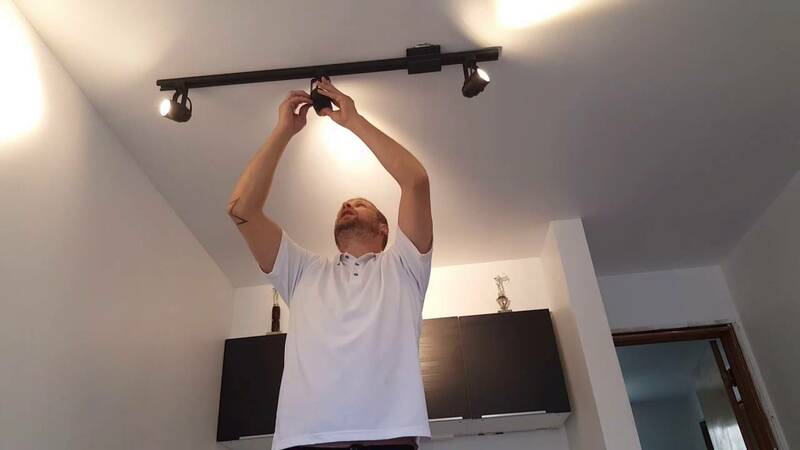 Swapping the existing fixtures is quite easy and often you can do it without hiring a professional. Light temperature does matter. I usually prefer a warmer tones as they fit closer to the traditional halogen light sources. 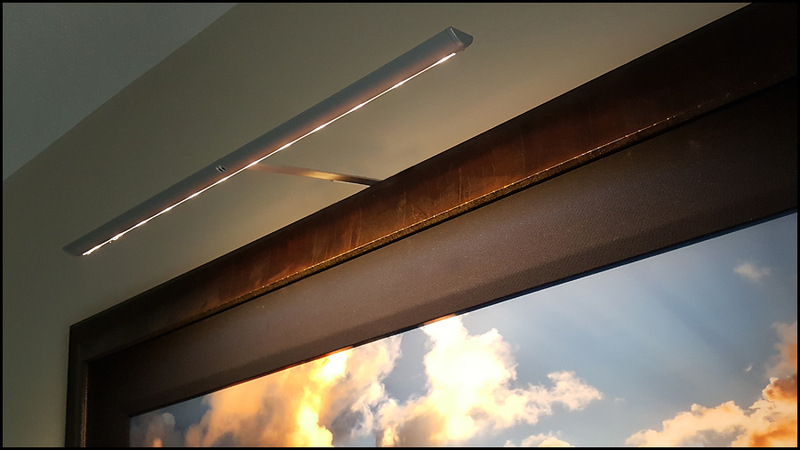 The last resourt in the absence of ceiling light fixtures is the dedicated over-the-picture sources like the one shown below. Feel free to ask if you need help with the lighting and often I'd be able to offer you an affordable solution.